Partnership with Doofor gives your company competitive edges. As our partner, you will receive the highest technology and competitive product, without a need to invest in product development or manufacturing process itself. Neither you have to settle for uncertain copies. We keep our customer’s success as one of our priorities. Therefore we provide our knowledge for customer’s processes which along with our spare part supply benefits our partner. Furthermore, our partner can provide spare parts and drill maintenance to their customers as an additional service besides their core business. 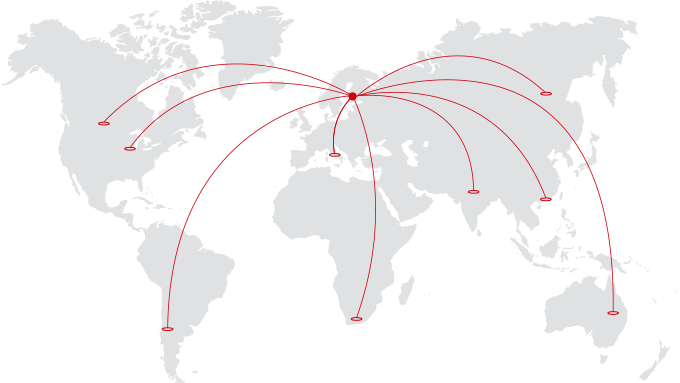 Doofor company is independent, local manufacturer yet globally present. Our local manufacture process guarantees a homogenous quality in our products – therefore we can assure the highest quality in each and every drill we sell. This excellence in performance will transfer to the customer’s end-product upgrading it. The end-users acknowledges Doofor drills quality already; therefore Doofor has a great reputation around the world. Our expertise in drill manufacturing can also benefit your company. Interested in growing your business together with us? Ask for more detailed information.